In the day and age of interoperability and multilateral missions, we have developed a platform with the goal to maintain a high level of availability while ensuring full domain separation. Based on this platform, Eurotempest has developed the MPC product line where several discrete computing environments can be combined in a single workstation enclosure. 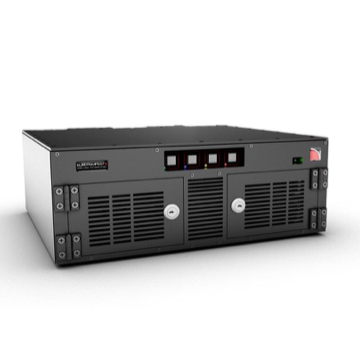 Each individual compartment hosts an autonomous and removable computing pod, including SSD or HDD storage plus connectivity for fiber optic communications and removable media. Each compartment is lockable from the outside to protect from tampering. The big benefit lies in the flexibility of the MPC concept. For each mission or operation, the bays can be fitted with the right computing configuration, and the entire configuration can be removed and stored in a secure location. The computing pods are completely portable and can be individually serviced without influencing the rest of the MPC system. This has a great advantage from a service and maintenance point of view as the smaller pods are portable and can be easily shipped, handled or stored. Each pod has full processing capability, having quad-core performance and sufficient memory options to offer workstation-like performance.